Combination of double and single track on loose surface in places with some climbing. 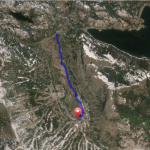 Visit Kirkwood Mountain Sports at Kirkwood Village and get a trail map. 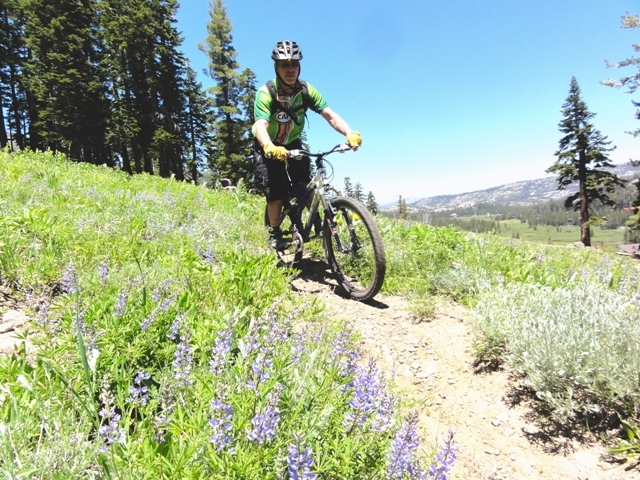 Starting from the Village, you will ride along the paved Kirkwood Meadows Drive to the Timber Creek Base area where you will turn left and climb up to the Dangberg Trail and turning left onto it. 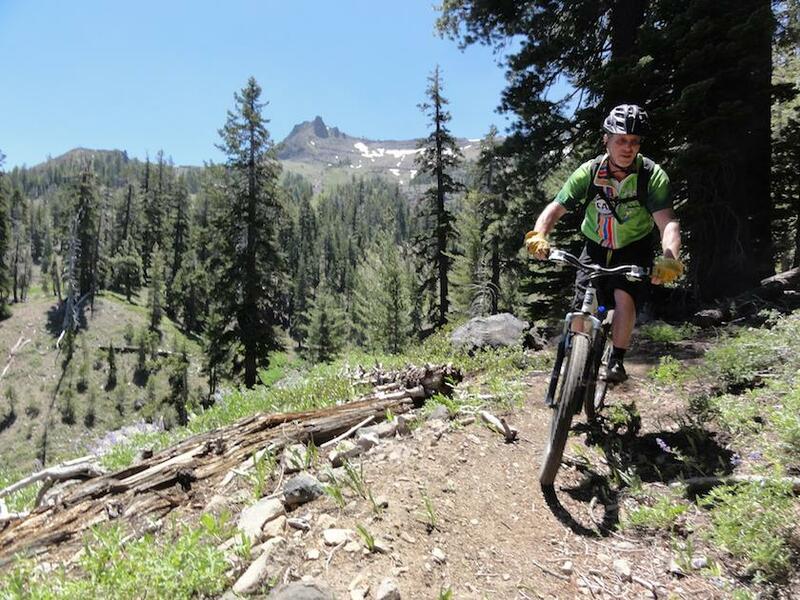 This ride is on a combination of double and single track trails. Follow the signs as you traverse the base of Sentinel Bowl crossing a few drainage locations and ski runs on Cutback and Solitude trails. The trail surface in places is made up of glacial conglomerate soil – a combination of decomposed granite (sand) and small rocks (golf ball to baseball size) that are not bond together — making for loose traction. In the forest, the surface is smoother with decomposed organic soils. You will come out on a winding single track back to the village.